Pediatric hospitalization rates in the US declined between 2010 and 2016, but readmission rates increased, especially among children with complex chronic conditions, researchers report. “Our findings highlight the need for more research on medical homes, care coordination, and chronic condition management for children with medical complexity, as this population is accounting for an increasing number of admissions and readmissions,” Dr. Emily M. Bucholz from Boston Children’s Hospital and Harvard Medical School, Boston, Massachusetts told Reuters Health. 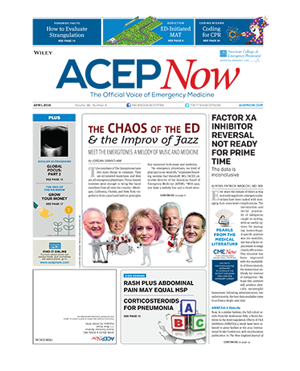 “With the advent of accountable care organizations (ACOs) and the increasing emphasis on medical homes, pediatrics is certainly moving in this direction, but research on how to coordinate outpatient care and in-home services for this high-risk population is still relatively new,” she said in an email interview. The percentage of US children without health insurance declined from 14.9 percent in 1997 to 4.8 percent in 2015, but there are few reports regarding trends in hospitalization and readmissions during that time. Dr. Bucholz and colleagues used data from the 2010 to 2016 Healthcare Cost and Utilization Project Nationwide Readmissions Database (NRD) and Nationwide Inpatient Sample (NIS) to evaluate trends in patient- and hospital-level admissions and 30-day readmissions and compare differences in trends across patient and hospital characteristics. The total number of pediatric admissions fell 21.3 percent (from 1.3 million to 1.0 million annually) from 2010 to 2016, with the complexity of admissions increasing over time. In 2010, 16.7 percent of admissions involved at least one complex chronic condition, versus 22.4 percent of admissions in 2016, according to the Pediatrics online report. At the same time, overall pediatric 30-day readmission rates rose from 6.26 percent to 7.02 percent, an annual increase of 1.8 percent. This increase was associated with higher numbers of index admissions for children with chronic conditions, who have a higher risk of readmission than children without chronic conditions. Risk-adjusted 30-day readmission rates increased across most hospital subgroups, with the exception of large hospitals (where rates remained stable) and metropolitan teaching hospitals (where rates decreased).